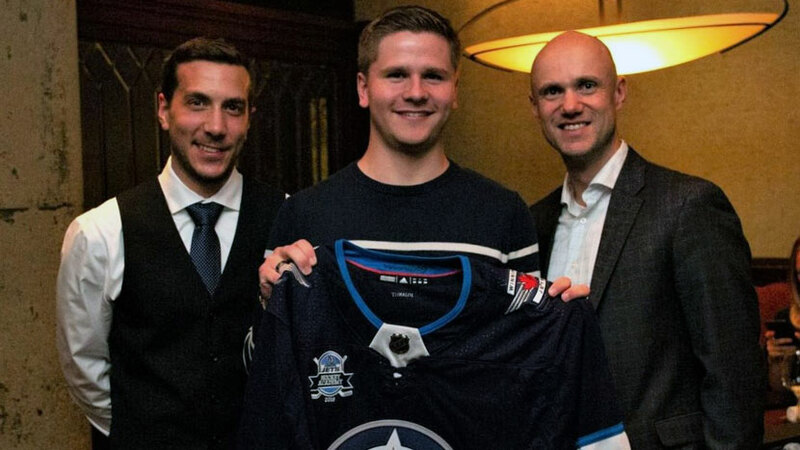 One of this year’s 12 graduating students from the Winnipeg Jets Hockey Academy (WJHA) has officially started his road trip to Kansas where he will be taking Business Administration in the fall. Before hitting the road, Tobie and his family stopped by to drop off a thank-you basket for the WJHA team. From learning hockey skills to employment, graduation, and a scholarship at an American university we wish Tobie the best of luck as his journey continues. We are excited to have his sisters in the program and keep learning about his progress.